Presidential Election 2017: What makes Nitish Kumar dump allies Congress, RJD over Ram Nath Kovind? In the immediate aftermath of demonetisation in November last year, when Bihar chief minister Nitish Kumar broke ranks and defied alliance partners to support Prime Minister Narendra Modi, he used a significant line in all public statements: He said the stated objectives of curbing black money and corruption could be achieved only if "notebandi" was followed up with a war on benami property. 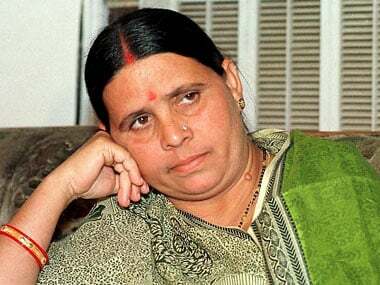 In the following months, it so happened that the first high-profile target of Modi government's crackdown on benami property was his alliance partner, RJD chief Lalu Prasad Yadav. 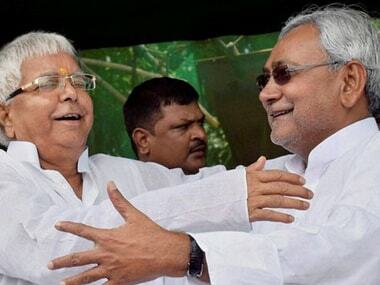 The problem for Nitish Kumar was that those charged also included Lalu's family members, including state deputy chief minister Tejashwi Yadav, who sits next to him at Cabinet meetings, senior minister Tej Pratap, and Rajya Sabha MP Misa Bharti, who were accused of acquiring benami property worth Rs 1,000 crore through unscrupulous means. That placed Nitish in an uncomfortable situation. A focussed crackdown on benami property and holders was his specific demand. When the central government acted on this, he couldn't afford to be seen backing out from his stance by supporting Lalu. But he knew that Lalu needed him in order to continue being a part of the state government, much more than Nitish needed Lalu. If the release of tapes proving Lalu's complicity with arrested gangster Mohammad Sahabuddin put Nitish at a great deal of unease, benami charges against his alliance partner in government took his discomfort to an entirely new level. On the other hand, RJD supporters were also unhappy with Nitish and the JDU's continued silence on the subject. Nitish's USP is his governance record, relatively clean politics and maintenance of law and order. He may have aligned, backed out, and realigned with one party and another, turned friends into foes and back into friends, but what's significant is that he has a clean image. He simply cannot afford to let that go. 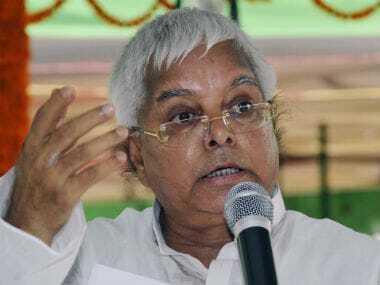 Which is why it's significant to consider the war of words between Lalu and Nitish over Meira Kumar's candidature for the presidential election. Tejashwi's apparent taunts through a Facebook post, albeit without naming Nitish, have to be seen in perspective — the differences between the two over 'Bihar ki beti' provided the spark to what has been building up over months. 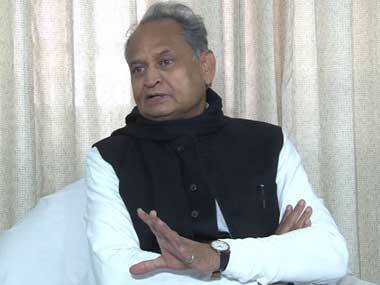 As for other alliance partner Congress, Nitish's JDU colleagues have a long list of grouses here. Even when the party was part of the NDA, it was being wooed by the Congress. And ahead of the 2015 Assembly election, before RJD could reconcile with JDU under Nitish Kumar's leadership, the Congress announced him to be the chief ministerial candidate of the 'mahagathbandhan'. Nitish then convinced Lalu of the merits of giving Congress more seats than what was considered the party's perceived strength. A number of JDU leaders confirmed to Firstpost about Nitish being in direct contact with Sonia and Rahul Gandhi, but his opinion on several matters was ignored by the Congress. Ghulam Nabi Azad may have turned into a villain for the JDU today and perhaps rightly so, but there the seeds of discord between Nitish and Congress was sown months ago by Rahul Gandhi. Ahead of Assembly elections in Uttar Pradesh, there was again an understanding between JDU and Congress that they would contest the polls together, but Rahul unilaterally decided at the last minute to align with Akhilesh Yadav's Samajwadi Party instead. That decision hit Nitish hard. But he kept his cool and reached Sonia Gandhi's 10 Janpath residence in April to have a consensus on a combined opposition candidate. Relations between Nitish and Congress reached a critical point on 4 June, when Rahul Gandhi declined to announce Gopal Krishna Gandhi as the Opposition's joint presidential nominee, as proposed by JDU and seconded by NCP, Left parties and other opposition leaders when they met in Chennai to mark the 94th birthday celebrations of DMK patriarch M Karunanidhi. Nitish and the other leaders felt this was the best occasion to announce their candidate, but Rahul thought otherwise. He simply asked them to meet in Delhi at a later date to talk about it. So when BJP announced Ram Nath Kovind as its nominee, and given the excellent rapport Nitish had developed with the Bihar governor, he sensed the moment to assert his position had come. He immediately drove to the governor's house to congratulate Kovind and a day later, after convening a meeting of senior party leaders, announced his unconditional support. Ghulam Nabi Azad may have unwittingly jumped in the middle to play the ultimate spoiler, but if a reunion between Nitish Kumar and BJP is to take place in the months to come, he can claim some credit for it. 1Presidential Election 2017: What makes Nitish Kumar dump allies Congress, RJD over Ram Nath Kovind?